Carrie interviews one of the world’s best marathoners right now: Betsy Saina! 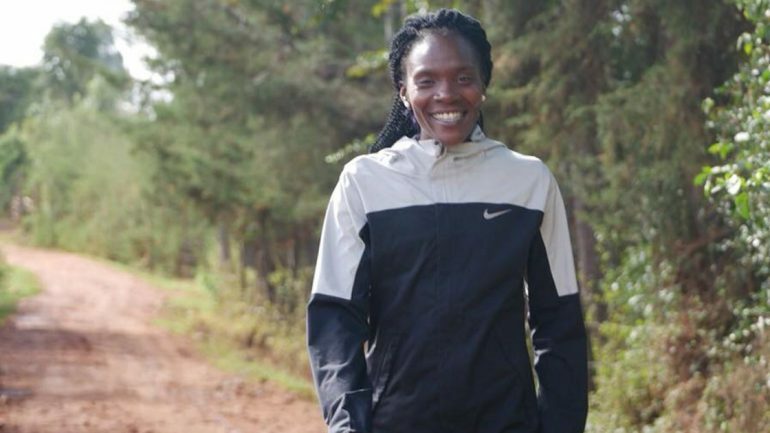 They discuss how failing to finish in her first two marathons led her to success in her next two (including a big win at the 2018 Paris Marathon), as well as how she plans to attain her goal of becoming Kenya’s next great marathoner. Betsy Saina ran a 2:22:56 in Paris to win her first completed marathon. After two attempts she nailed her third and is establishing herself as one of the world’s best marathoners.In her the 2016 Olympics, she ran a personal best by 50 seconds placing fifth in the 10,000m in a time of 30:07.78. Saina began running as a teenager in Eldoret, Kenya. Saina was an 11-time NCAA All-American and a three-time individual NCAA champion while at Iowa State. She graduated with a degree in nursing. She and her husband reside in Portland when she isn’t back home in Kenya training. Emily Sisson – Enjoy It!